Will Ferrell Is the "Flamingo Thief"
Will Ferrell, like many comedians before him, has a dramatic side that he occasionally likes to explore. But unlike so many funnymen before him, Ferrell, has never embarrassed himself. Let's hope he stays the course with his next role. Ferrell will star in an adaptation of Susan Trott's 2010 novel, "Flamingo Thief," reported Variety. "You, Me and Dupree" scribe Michael LeSieu's script based on the book made the 2011 Black List. Everyone handles grief differently but none so differently as Tim Forester, multimillionaire Juice King, who lost his son a year ago. It starts with him quietly pocketing a china flamingo belonging to his three year old niece, Joy, and by his tenth flamingo has escalated to felony grand theft... Flamingo thieving makes his heart beat. He comes alive. In a way he is having a wonderful time. 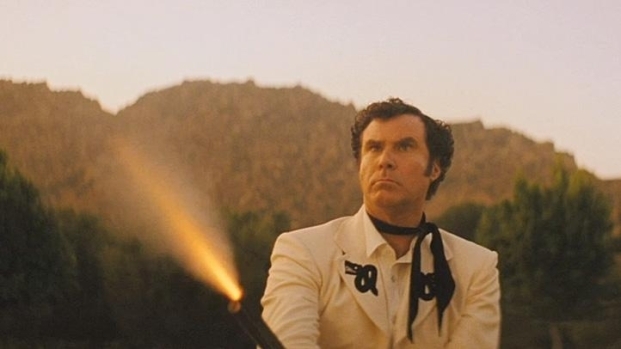 What's helped make Ferrell's forays into drama--films like the brilliant "Stranger Than Fiction," or the solid "Everything Must Go"--is that he tends to pursue serious roles with comic elements, "Flamingo Thief" sounds like the kind of serio-comic role that will suit Ferrell nicely. In the meantime, we're very much looking forward to Ferrell's next film, "Casa de mi Padre," his Spanish-language send-up of telenovelas, which opens March 16.